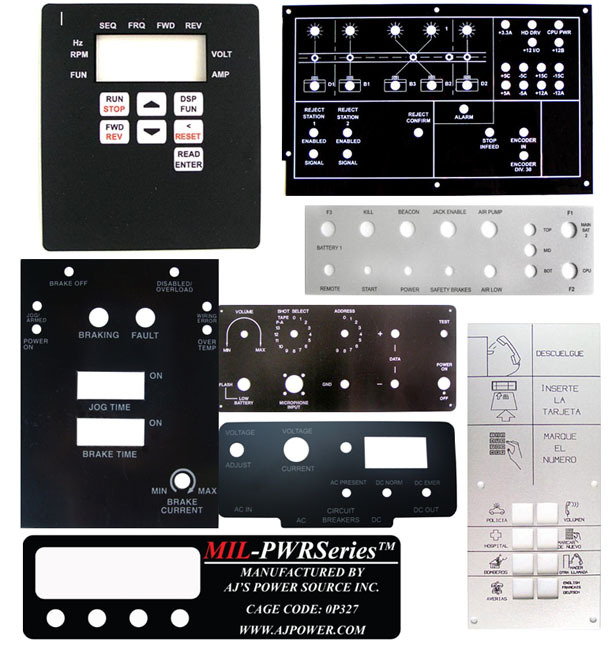 Control Panels & Chassis | | Industrial Marking Services, Inc.Industrial Marking Services, Inc.
Control Panels & Chassis - Industrial Marking Services, Inc. Attention to detail is the trademark of Industrial Marking Services screen-printing department. We have the ability to print your panels on most materials to your specifications. We also provide close tolerance printing, usually within (+/-).005. We have the ability to print on a wide variety of materials including plastic, metal, glass, fiber and many other substrates. The ink systems that we use comply with Medical, Military, Aero Space and Industrial specifications for permanent adhesion to your products.